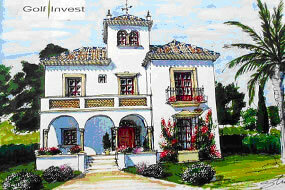 An exceptional development of detached villas located on a site with a rich historical background. For many centuries this area has been the site of the most prestigious Haciendas (stately homes) of the rich and most powerful noble families of the kingdom of Murcia. 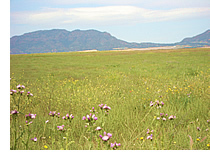 La Tercia Real is located at the foot of the Sierra de Columbares (natural park), and half way between the shores of the Mediterranean and the cosmopolitan city of Murcia. This beautiful development benefits from a first class infrastructure and a gated urbanisation with avenues, tree lined streets, huge green areas and a central leisure area dotted with swimming pools and gardens. The Village is a typical Spanish Pueblo recreating the old settlement of La Tercia. It has several bars, shops and all services. 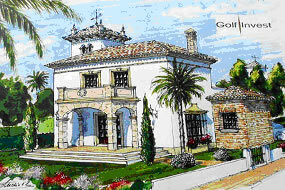 The old Hacienda “La Tercia” which was built in 1735, forms part of the development and is to be restored to it’s former glory. All villas on La Tercia Real are spacious 2, 3 and 4 bedroom houses of a traditional Mediterranean style that combine elegant architecture with plenty of exclusive details to make your home unique. A variety of façades and lots of different models have been created by a team of experts in historical buildings. All villas feature beautiful Andalucian patios, sun roofs with towers, fenced private plots with the possibility of private swimming pools, with plots that range from 250m2 up to 500m2.